George Clooney has had himself one heck of a career, both as an actor and a filmmaker. He's turned in Oscar-winning performances and has done everything from fun horror movies to high stakes dramas and everything in between. So, out of everything in his illustrious portfolio, what movie is it that had the most influence over his career? The disastrous dumpster fire that is Batman and Robin. During a recent interview, in honor of receiving an AFI Lifetime Achievement Award this week. George Clooney was asked a great many questions about his career. One of which specifically addressed the movie that had the biggest influence on his career. While it may be surprising to hear that he said Batman and Robin, his reasoning is pretty sound. Here's what he had to say about it. "It's really easy to pick: Batman & Robin. That's not a joke. Up until that moment, I was an actor only concerned with finding work. After the failure of that film creatively, I understood that I needed to take control of the films I made, not just the role. My next three films were Out of Sight, Three Kings and O Brother, Where Art Thou?" Joel Schumacher stepped in for Tim Burton following Batman Returns and helmed the next two live-action installments of the franchise. 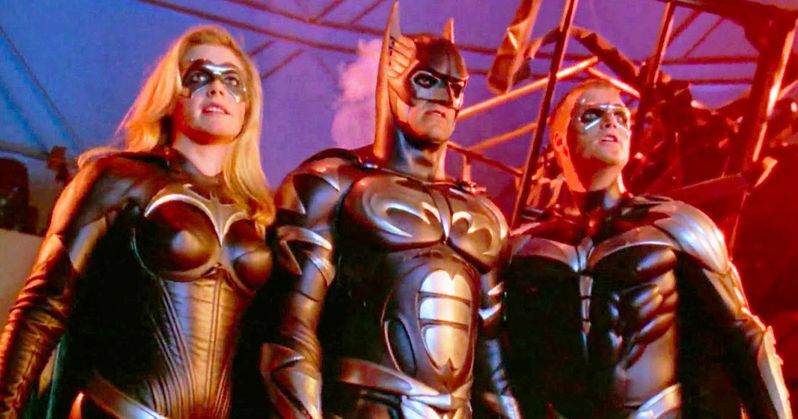 Val Kilmer stepped in as the Caped Crusader for Batman Forever, but George Clooney had the honor, if you can call it that, of taking up the mantle in Batman and Robin, which is widely regarded as the worst live-action movie in the franchise to date. Between the Batnipples, Mr. Freeze puns and the ridiculousness of Bane, it was, as Clooney put it, a creative failure. It might have been easy for a man such as George Clooney to learn the wrong lessons from such an experience. Instead, he turned it into a positive and began to craft the career that we know and love him for. Looking at the trilogy of movies he knocked out following his infamous turn as Batman, it's clear that the movie did truly have a major impact on him. Imagine what might have happened if the movie were a much bigger financial success? Not only might his career have been different, but we may never have got Batman Begins and, as a result, The Dark Knight. In the years following 1997's disastrous DC flick, George Clooney would go on to star in movies like Ocean's Eleven and Syriana, which won him a Best Supporting Actor Oscar, as well as direct movies like Good Night, and Good Luck, which earned him a Best Director nomination at the Academy Awards that year. He's a man who has crafted his career very carefully and, these days, he's especially choosy about which roles he takes on. No doubt, at least in part, because he doesn't want to end up in another Batnipples situation. This news comes to us courtesy of The Hollywood Reporter.